Editing PDF can be a series of pain if you are not equipped with the right tools. If you have ever tried to edit a Portable Document File, then you must have experienced that It is more complicated than editing a Microsoft Office document. It is because of the simple thing that PDF was never designed to be edited. Back in 1992, when Adobe introduced PDF, the idea was that you could work with PDF documents same way you worked with documents on paper. It was supposed that a PDF would be a virtual printout. Similarly, like any of the printed copy, it was not made to be changed. From the document window, choose PDF file. When the file opens up, in the right-hand toolbar, choose Edit PDF. Place the cursor on the text you want to edit. Edit the text with the help of “Format” options at the top of the right-hand toolbar. If you want to edit the image, then place your cursor on the image you want to edit. Use the “Objects” option and modify your image. How to Edit a PDF online. Recognize the website of an online PDF editor. For Ex- Sejda. To the website’s homepage, upload your PDF. Keep patience till your document appear. 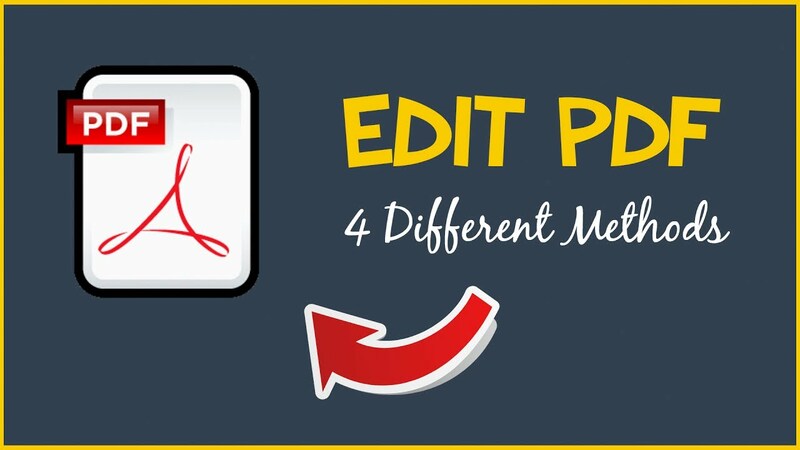 With the help of side toolbar, choose the kind of edit you want to make. Keep your cursor on the area of the document you want to modify. For editing the text, choose Text from the toolbar. Just place the cursor over the text you want to edit. Now save the changes and download your edited files. You need to have an expensive program like Adobe for editing a common file. There are certain online tools available for editing your PDF that is available for free. FormSwift– It adds new content and even e signature. PDFescape– Add new content and begin new PDF from scratch. Smallpdf– add new content and save PDFs to platforms such as Drive, Dropbox, and Google. How to edit a PDF on a Mac? Double tap on your PDF file for opening it. Select all the existing text and copy it to the clipboard. Hold down Command+Shift+4 to extract an image from PDF. Tap the cursor to fit the frame of the image you want to extract. Make sure that these images have been saved to your desktop. Go to your Mac’s Pages app and paste the text from clipboard to blank document. Now edit this text and leave spaces to reinsert any of the missing images. Drag any of the extracted images into the pages document. Format and move your images and text. Now you can save your edited file as a PDF. How to Edit a PDF in Word? Choose File>Open in the top navigation. Choose your PDF file from document window. When your file opens up, Choose Export PDF in right hand toolbar. Choose Microsoft word as your export destination. Now edit your content as required and Choose File>save As. Choose PDF in File Format drop down menu.